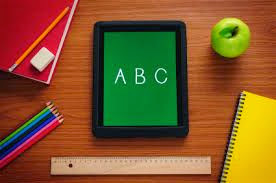 1) iBooks Textbooks: Media-rich Teacher Editions and Student Workbooks including videos, interactive lessons, assessments, and more! Download colorful POSTERS to remind students about digital citizenship and device care and maintenance. Curricular TOOLKITS put topical resources at your fingertips. In each toolkit, you'll find lesson plans, activities, videos, and parent outreach materials.